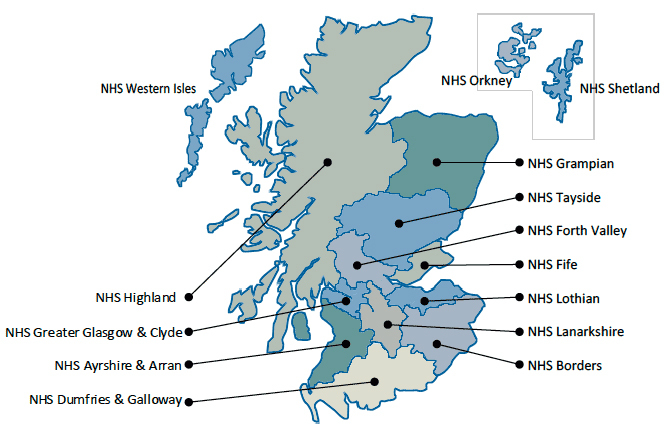 Freedom of Information Requests have been made to all 14 NHS Boards in Scotland. The requests asks for Register of payments from pharmaceutical companies to NHS staff. Requests are currently being processed and progress on all 14 NHS Boards Hospitality Registers can be found here. Scottish Government Policy on ‘Guidance on Joint-Working between NHSScotland and the Pharmaceutical Industry’ was published 2nd November 2012: “A Common Understanding 2012 – Working Together For Patients” You can access it here. Hospital Boards are reportedly meant to keep a register of payments from pharmaceutical companies (and other relevant companies) to staff, in case of conflicts of interest . I am requesting a copy of the register for this Board – which I would hope includes details of all relevant payments to staff and any related potential conflicts of interest. If it would be possible to have this information in an appropriate structured data format – for example, a CSV file – this would be helpful. If this Board does not have a complete register, I would request: the release of the information on this topic that the Board does hold; and an explanation of why the Board does not hold a complete register. I am aware that some would view data on pharmaceutical funding as personal data for those staff receiving the funding. Even if some of the information on this register may be classed as personal data (although this is contestable – for example, in some sectors of academia information re funding sources is made public as a matter of course) it would be covered by paragraph 6 of Schedule 2 of the Data Protection Act. The release of these data is “necessary for the purposes of legitimate interests pursued by the data controller or by the third party or parties to whom the data are disclosed” . Spurling et al’s systematic review of how information from pharmaceutical companies impacts physicians’ prescribing reported that, of the studies included which looked at total promotional investment, three “found that total promotional investment was positively associated with prescribing frequency…Two…found both positive results and no association…One study did not detect an association” . There is thus a legitimate interest in releasing this register: the available research suggests that it is plausible that payments received influence how public money is spent and the type of care provided to members of the public. For the reasons given above, there is a strong public interest in releasing this information. While “requests for the personal data of a third party are exempt under section 40(2) of the Freedom of Information Act…if disclosure would contravene section 10 of the Data Protection Act, the right to prevent processing likely to cause damage or distress” , I would argue that, even if some of those named in these documents feel that their release would cause them damage or distress, this is outweighed by the significant public interest served by releasing these data.